Its a game which matter the most in the tournament. Result of the game between Bangladesh and South Africa will play crucial role in deciding the fate of four teams from Group B which is known as 'Group of Death' as well. Victory of Bangladesh over England changed all the permutations of Group B and I think England will be cursing themselves over the defeat against Bangladesh. So what this game holds? This is the most crucial match for Bangladesh in the history of their cricket and it will give them chance to create an history. If Bangladesh win this game they will qualify for the quarter-finals of the Cricket World Cup for the first time and this day will register as golden day in the history of Bangladesh cricket. I believe key to Bangladesh's success depends on the pitch and the spinners and I think Bangladesh cricket administrators will certainly provide the rank-turner to the Proteas. We all know teams from outside sub-continent struggles against quality spin especially when they are playing in sub-continent and Bangladesh have lot of spinners in their ranks which is not very good sign for the South African batsmen. Batsmen like Imrul Kayes, Tamim Iqbal and Captain Shakib Al Hasan have to score big runs in order to put pressure on South Africa and if this trio fires then anything can happen but Bangladeshi batsmen have to face the raw pace of Morkel and Steyn upfront and if these two bowlers will be confronted well then Bangladesh can think of winning the game. If we talk about South Africa, they played like champions in this World Cup so far. Although they lost to England but that was near contest. I think match against India made them very strong and given them great momentum. If they lost that match against India then situation would have become more difficult for them but they hold their nerves in that game and inspite of getting lot of hit in first 15 overs from India they came back strongly and snatched the victory from the jaws of defeat. No doubt they are the most balanced side in this World Cup but they often crumble under-pressure but they got rid of that weakness in the match against India. They already made into quarter-finals but they will be going into this match with the intention of winning it and try to sustain the momentum ahead of knock-out stages. Injuries to their key players like AB DeVilliers and Imran Tahir must be a little worry but I think both Tahir and DeVilliers will get fit ahead of the match against Bangladesh. I think this match will going to be very important match for Greame Smith as well as he has not fired with the bat so far in the tournament and he has the chance tomorrow to hit some batting form ahead of the crucial knock-out stage. 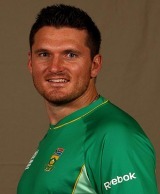 If Smith hits the form then I believe Proteas will become more strong and even invincibles. So great game ahead of knock-out stage, probably the most important and crucial match of the ICC Cricket World 2011. Teams like India, West Indies and England will keep close eye on this game because this is the game which will more or less decide, who will qualify for the quarter-finals from Group B. This match also have the capability of creating history in World Cricket and most important game for all the Bangladeshi fans. التخلص من الأوساخ عن طريق البخار يجعل المفروشات معقمة ونظيفة وبالتعاون مع شركة تنظيف بالبخار بجدة سوف يتم التمتع بكل أنواع عمليات تنظيف البخار لجميع أنواع المفروشات سواء العادية او التي يدخل في تكوينها الحرير وباستخدام خدمات شركة تنظيف بالبخار بجدة سوف تجد أفضل خدمة مقدمة نتيجة إلى الاعتماد على عمالة مدربة جديا في القيام بعمليات التنظيف وأيضا المنظفات وغيرها . نقل العفش سوف يتم بأسلوب حديث جدا مع شركة نقل عفش مكة حيث اننا نقوم باستخدام احدث أنواع الأجهزة التي تقوم بنقل العفش من العلي إلى الأسفل وبالتالي سوف يتم الحفاظ عليه من عمليات التحميل من دور إلى الأخر حيث اننا نعمل على توفير الأوناش الكهربائية التي تصل إلى الأماكن العالية والتي تتحمل اقوي الحمولات لنقل الأثاث من العلي إلى الأسفل ويتم النقل بالاعتماد على مساحة الطريق حيث لو كانت المساحة ضيقة سوف تعيق وضع الاوناش وأيضا نوعية الحمولة حيث ان الحمولات الكبيرة يتم استخدام الونش الكهربائي بها أما الحمولات الصغيرة في الأدوار المنخفضة يتم استخدام الونش الهيدروليك .